A sense of cohesion has been achieved through thoughtful design, resulting in a home which is the ideal place to relax after a long day. Here, the cosy, neutral palette is juxtaposed against darker surfaces, creating a sophisticated yet warm and welcoming space. In an unconventionally laid-out home in which two bedrooms are accessible directly from the main living room, concealed doors have been deliberately designed to be indiscernible from the rest of the walls and decor. At one end, balcony doors open up to spectacular views of Victoria Harbour, allowing natural light to diffuse directly to the opposite end of the space, where a glass-walled study room has been sited for maximum visual transparency. The neutral colour scheme of cool creams, soft browns and warm beiges extends into the bedrooms and kitchen. Here, the grain of wooden cabinetry adds texture and visual appeal, blending perfectly with the minimalistic ethos. 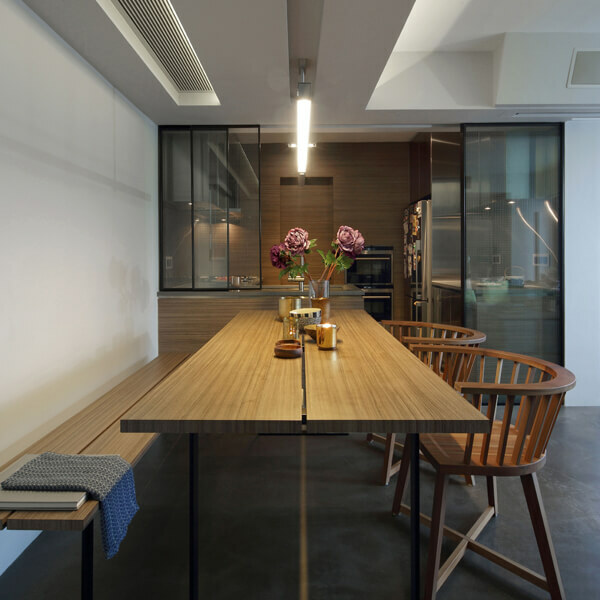 Meanwhile, the effect of pale-coloured walls and ceiling is to disperse light and create a sense of spaciousness that is especially important in Hong Kong’s housing landscape. Infused with an artistic ambience, this refurbished apartment demonstrates an excellent blend of practicality and modernity. The origins layout of this Duplex was composed by lots of bedrooms to serve as accommodation for employees of a company, the layout made the duplex feel dingy and dark. We reconfigured the space into a large open-plan with living & dining room, kitchen with an open-tread steel staircase to penetrate more natural light to the Foyer. Master bedroom Is located on the upper level where the master bathroom had been relocated next to the big window. A tailor-made basin with glass partition separates the bath tub area to maximize the light into the closet area. Functional items have vanished: lacquered cabinet doors were painted in wall colors. Giving a feeling of paneled walls but not an apartment with full of cabinets surrounding. The use of natural cement floor, grey walls, indirect lighting work together to create an oasis of calmness, a tranquil retreat away from the busy city life. We reconfigured the space into a large open-plan with an open-tread staircase to penetrate natural light to the Foyer. Siemens Experience Centre is an extension of the Siemens home appliances showroom. 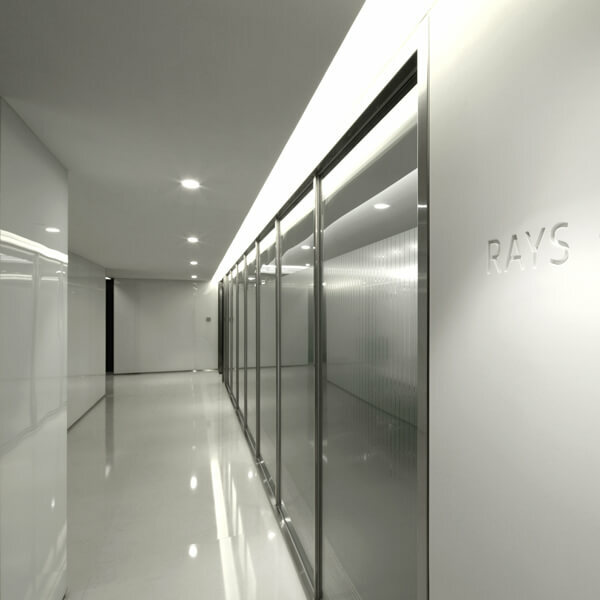 Beginning at the entrance, an accent wall of yellow glass panels offering a feeling of continuity between the Experience Centre and the Showroom downstairs. By facing a challenging site with numerous columns, the structure of the Centre is made up by these columns to create the five distinct areas. Visitors embark on a journey across the five distinctive areas of the Experience Centre including Lounge, cooking area, dining area, beverage and training area. A challenging site with numerous columns, the structure of the centre is made up of columns to create the five distinct areas.